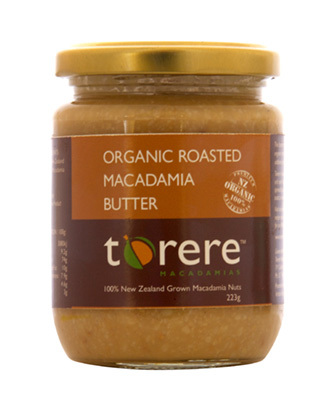 The Torere Macadamias team lovingly grows the macadamia plants, tends the macadamia orchards, harvests, processes and markets what we believe are New Zealand’s premium organic macadamia nut kernel and macadamia products. 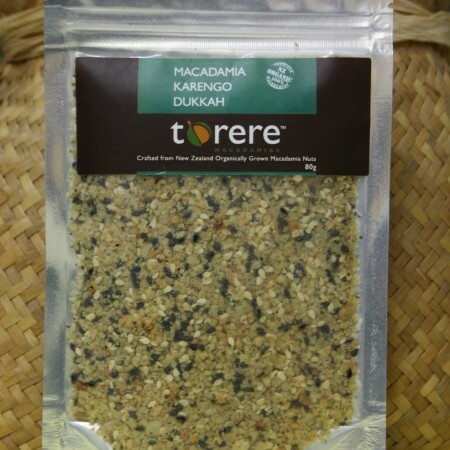 They are committed to caring and protecting their land, environment and bees to ensure their macadamia orchard grows the best organic macadamia nuts with pure, healthy wholesome tastes and textures that customers love, view product testimonials. 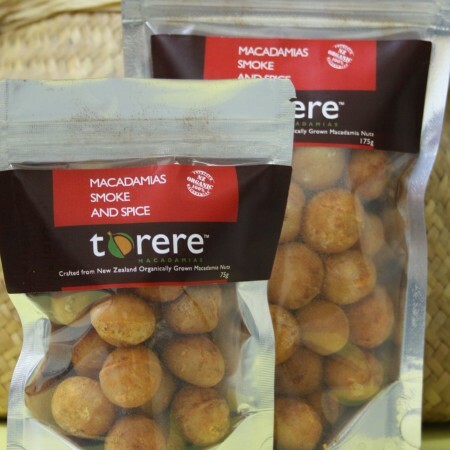 Torere Macadamias has the largest macadamia nursery in New Zealand and supply 95% of the Home Garden and Commercial macadamia plant market with superior quality plants. 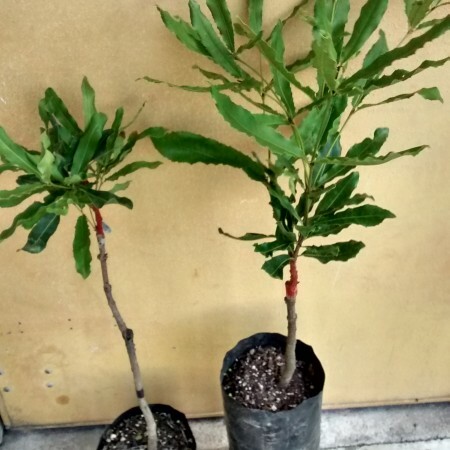 To ensure the macadamia plants and nursery is a safe, healthy environment for staff and visitors they use natural and sustainable organic growing techniques – no sprays or chemicals are used, view tree testimonials. 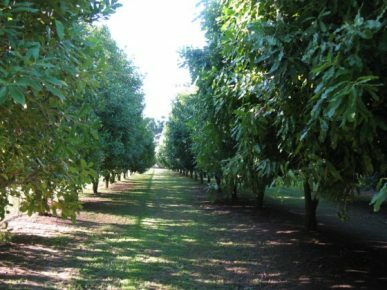 Torere Macadamias provide invaluable information and advice about growing macadamia nut trees at their monthly macadamia Field Days. 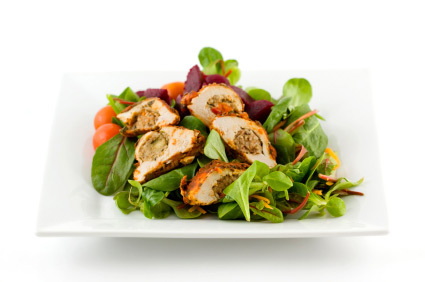 Check the dates on our Field Day page and book your visit soon. 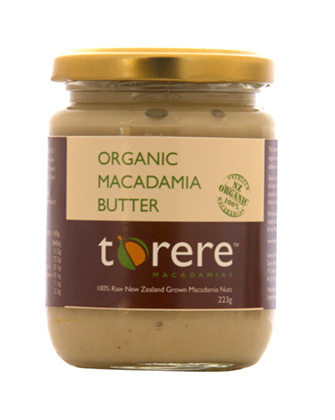 Whether you are visiting our website to explore and buy from our growing range of organic macadamia nut products, looking at developing a commercial macadamia orchard or want a couple of macadamia trees for your back garden; we hope that you too will fall in love with Torere Macadamias. 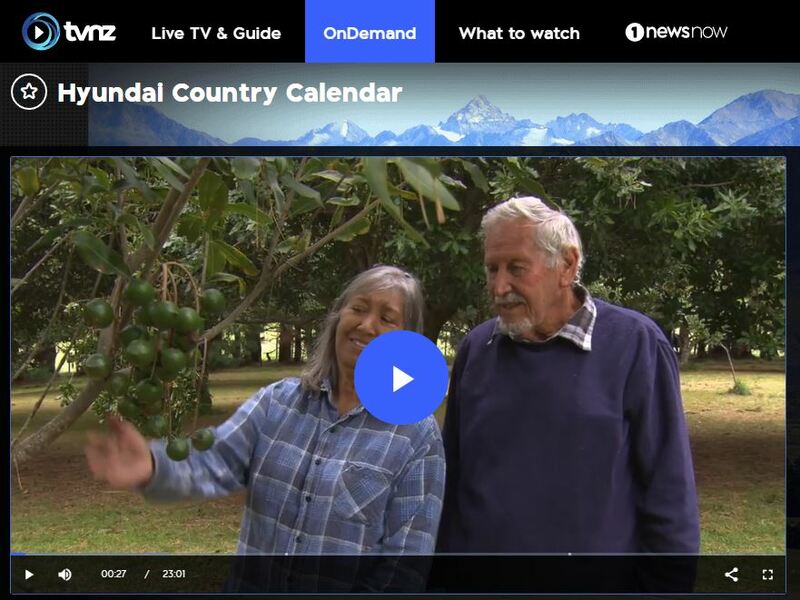 On 30 July 2017 we featured on Country Calendar. Click the image below to watch the episode online. Angelina showing Ian McConachie (Life member Aust. 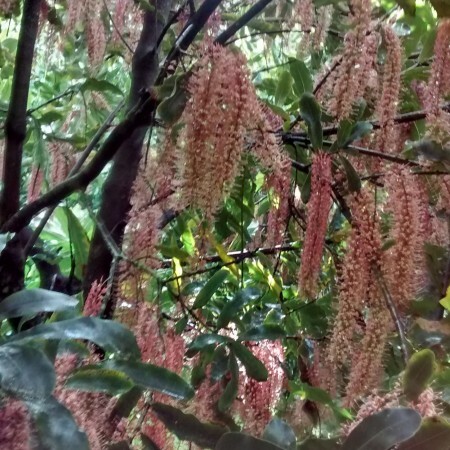 Macadamia Society) our healthy trees loaded with nuts. Torere is a small bay in Eastern Bay of Plenty named after Torerenui-a-rua the beautiful Maori princess who swam ashore from the Tainui waka. Torere’s Iwi (tribe) is NgaiTai, it has one of the smallest tribal area’s in New Zealand. 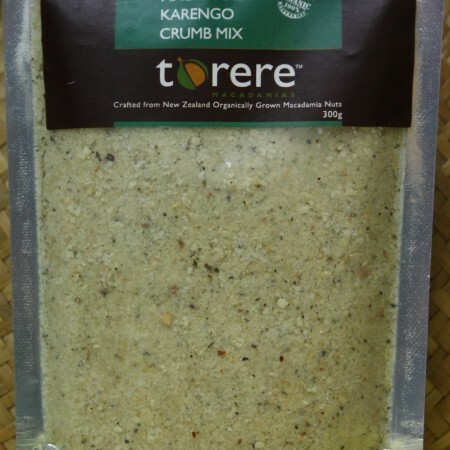 Torere in Maori means ‘desire’. 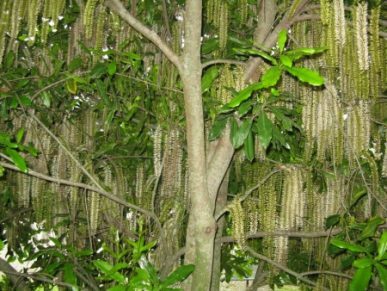 Vanessa Hayes was endowed by her tupuna (respected elder) great grand-uncle Wiremu Kerekere; as kaitiaki (caretaker) for this special location, now growing macadamias. The location has historical significance with taonga (ancient tools) discovered on-site under the largest pohutukawa on main-land NZ. 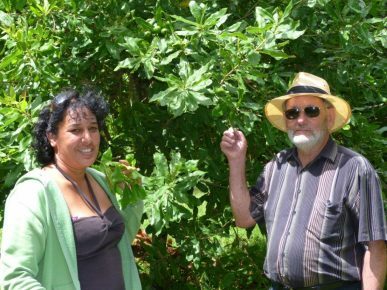 Vanessa Hayes pioneered research and trials for commercial high producing dropping macadamia nut varieties in New Zealand. 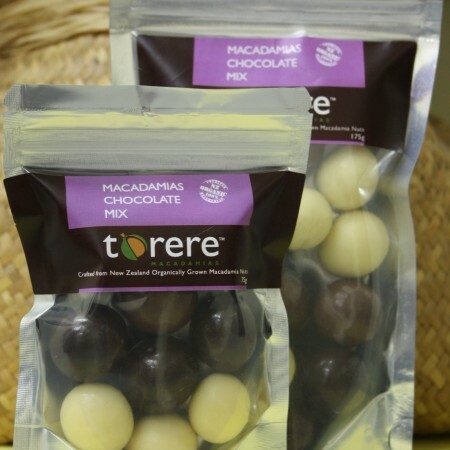 Together with partner Rod, they obtained exclusive rights for their imported varieties, built the largest macadamia plant nursery and planted the largest orchard of these new specialist macadamia varieties at Torere. Vanessa’s three adult children (Raelyn, Angelina and Walter) have been involved from the outset and continue to assist; including their own children in all avenues of the business. Angelina and Walter have had turns managing the Nursery and the Orchard from 2001 to date; with help from Raelyn. Walter had the difficult task of upgrading and restocking the nursery from 2013-2015 (after the global recession) and from June 2016 Angelina took over. Additional fulltime and part-time positions are filled by locals to continue the nursery and orchard expansion. 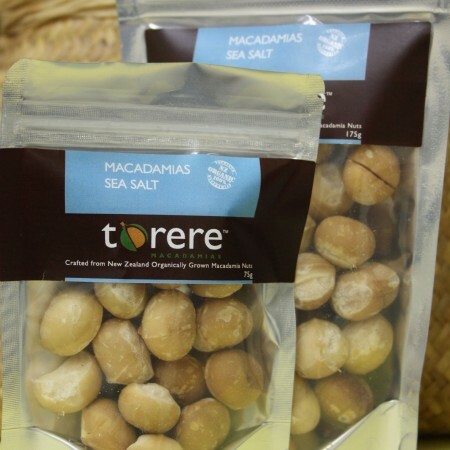 Vanessa and Rod oversee all operations and manage macadamia processing, product development, sales and marketing and provide monthly Field Days at Torere to support new growers. 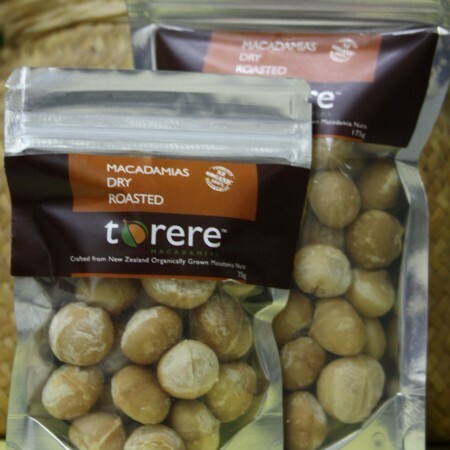 Macadamias are gluten free and contain essential minerals such as calcium, iron, magnesium, manganese, selenium and zinc. 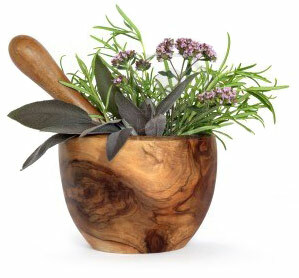 They are also full of vitamins and a rich source of mono-unsaturated fat that helps lower cholesterol, maintain healthy body lipid profiles and provides protection from coronary artery disease and strokes.